In five years of coaching the Forest Grove boys soccer team, Coach Angelo Simonetti led his Vikings to a 40-30-11 record, four playoff appearances and the state quarterfinals in 2012. He hung up his whistle at the end of last season after his team had yet again qualified for the Class 6A playoffs. But he’s not leaving Forest Grove student-athletes in the lurch: He just needed more time to cheer his own three children on as they compete. Simonetti has a 10-year-old son who plays football and basketball, a 12-year-old daughter whom he is readying for high school volleyball in two years, and an older son who as captain of the Tigard High School soccer team led his squad, the Tigers, to the state playoffs his senior year. In fact, the Vikings beat the Tigers narrowly, 3-2, in what turned out to be the final season for both the father and son. Vikings athletic director Doug Thompson was clear about his requirements for Simonetti’s replacement. “I really need the next coach to understand that it’s not just about winning soccer games, it’s about developing kids and making sure they graduate and making sure they’re making a positive contribution in the community. We really had a change during his tenure with that,” said Thompson. The new coach will have big shoes to fill. Thanks for setting the pace, Coach Simonetti, as a role model and a fan! Les Schwab Tire Centers is a proud sponsor of the Oregon School Activities Association. There were a lot of good reasons to attend the Kern County Fair, including great food and fun rides. This year, we got to see the Beach Boys and John Michael Montgomery in concert. One of the best reasons to attend is to check out the hard work that local FFA and 4-H youth have put into raising their livestock. 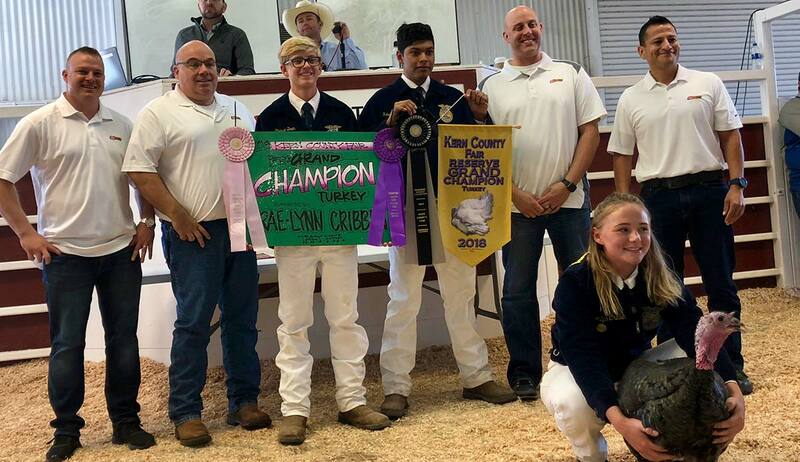 This year’s Junior Livestock Auction was another chance for Bakersfield Les Schwab managers to meet those kids and purchase some award-winning animals. We were honored to have bought some of the biggest winners, including the Reserve Champion Turkey Hen, Reserve Grand Champion Turkey, as well as the Rabbit Grand Champion, and Poultry Reserve Champion. As part of a longstanding Les Schwab tradition, we donate these animals back to the kids who raised them. While the numbers are still being tallied for 2018, over the past four years, the junior auction has brought in a total of over $11 million. Les Schwab is proud to be a part of that local tradition to support hard-working students, the FFA, the Kern County Fair Junior Livestock Auction, and other groups dedicated to the notion of hard work, dedication, and fairness. When you’ve got a hankering to get behind the wheel, Bakersfield is a great place to be. Just pick a direction and you’ll soon find yourself in a national forest, cruising through rugged ranchlands, or winding alongside a mountain waterway. 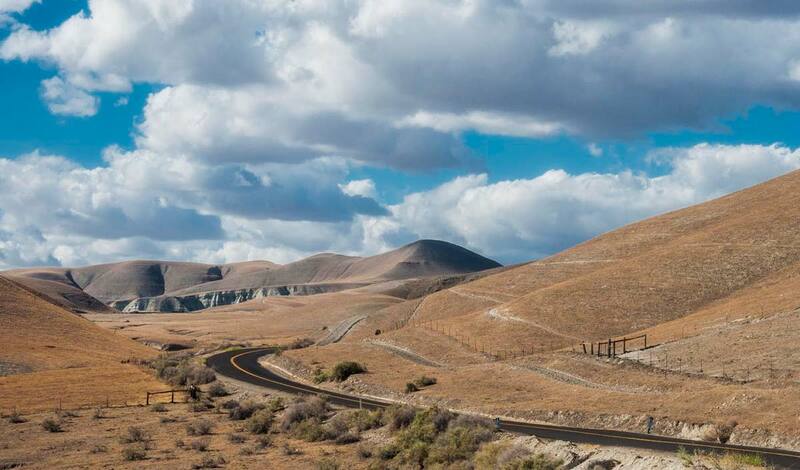 Here are five scenic drives not to miss in the greater Bakersfield area. Travel advisory: some roads may have seasonal closures. Check before you go. 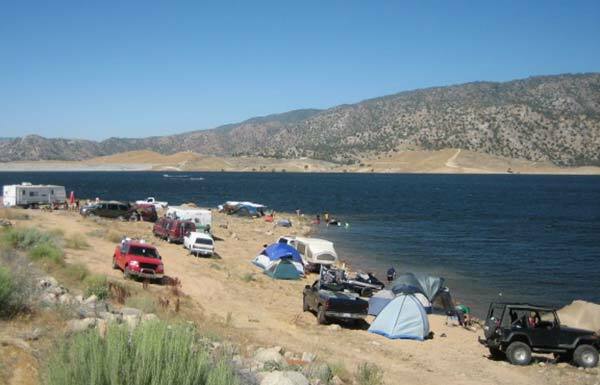 The outbound route winds along the Kern River past numerous natural hot springs and Lake Isabella to the Brush Creek Campground, with a day use picnic area and a lovely creek. When water levels permit (usually only late summer), strong swimmers can take a dip in one of the swimming holes along the rugged Brush Creek Trail. Watch out for poison oak, take care on the rough granite trail and swim at your own risk, of course. On the return, take Mountain Highway 99 which becomes the twisting, scenic M-50 and parallels South Creek, then Deer Creek. Click for the route to Lake Isabella and Brush Creek. This route includes several things to do along the way, depending on your interests. 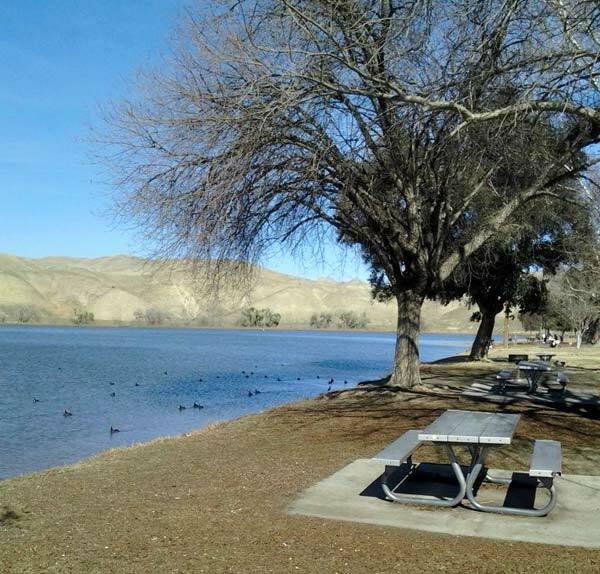 Hart Memorial Park offers two lakes, wildlife viewing, picnic areas with grills, hiking trails and playgrounds. Or visit the California Living Museum to see exhibits of native California animals, plants, fossils and artifacts. Click for driving directions to Rancheria Road. 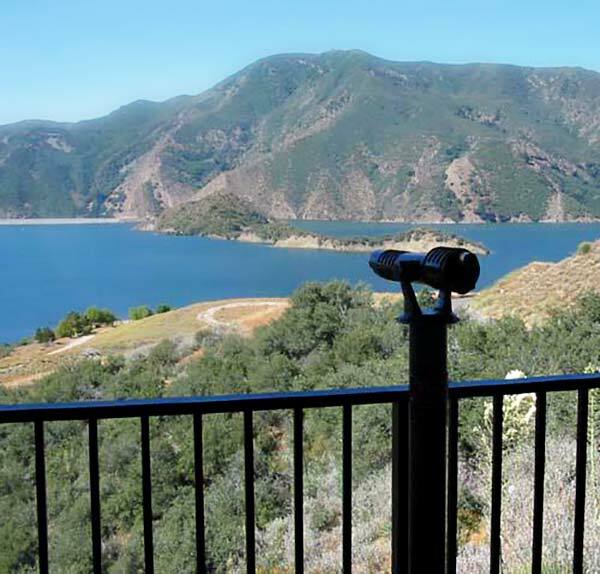 This route takes you through the Los Padres National Forest to an interpretive center overlooking Pyramid Lake, the deepest lake in the California Water Project system. See a complete, 3D model of California’s massive State Water Project and a display illustrating the massive tools used to build it. If you return via I-5, don’t miss Fort Tejon State Historic Park. 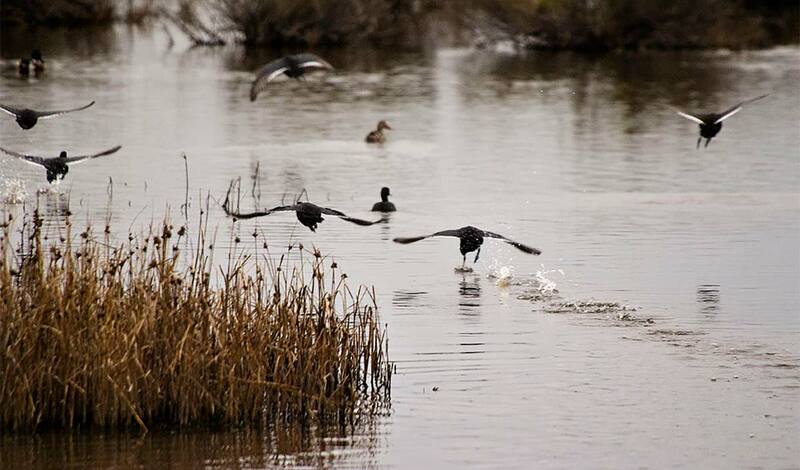 Click for scenic driving directions to Vista del Lago Visitors Center. Take the Central Valley Highway through some of the nation’s most productive agricultural lands on this scenic tour to historic Colonel Allensworth State Park, honoring a former slave who became an officer in the Union Navy then moved west to settle in this area. On the way back, visit the Kern National Wildlife Refuge and follow the six-mile auto tour route on a gravel road to view a great nature show of wading birds, raptors and other wildlife. Open daily from sunrise to sunset, closed Wednesdays and Saturdays during hunting season from October to January. Click for directions to Colonel Allensworth State Park. Tunnels through bedrock, swimming holes, waterfalls and views of the mighty Pacific — this scenic route offers up some of the most diverse landscapes you’ll find in southern California. You’ll travel through the Santa Ynez Range and pass by Wheeler Gorge and Piedra Blanca, white stones sculpted by nature. Then enjoy lunch in lovely Ojai. The road may be closed in winter, so check the Forest Service site before you go. Click for a route map of the Jacinto Reyes Scenic Byway. Note: these scenic routes have been collected from sources deemed reliable. However, remember to check road conditions in advance, make sure your vehicle is suitable for the roads recommended, and use common sense safety precautions along the way. That extra chill in the morning air means fall colors will soon be peaking. 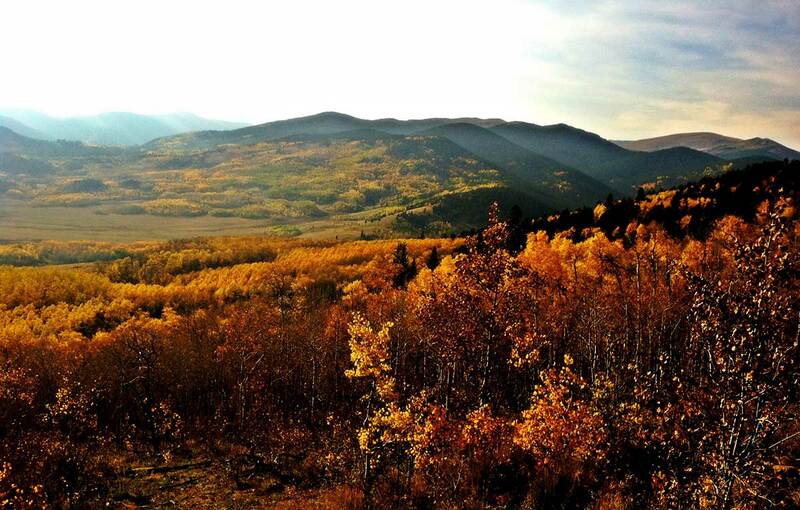 Here are six of the best leaf-peeping drives you can do from Denver in an afternoon or a day. Don’t delay: The best time to experience Mother Nature’s autumn art show is September through mid-October. Check your tire pressure. You lose some tire pressure (tires get slightly flatter) as you travel to higher altitudes, since the atmospheric pressure decreases (as in the expression “thin air”). Colder temperatures will also cause a slight loss in tire pressure. If you’re just planning on a day trip, all you need to do is fill your tires to the full, proper PSI (pounds per square inch) before you leave and be sure they aren’t underinflated. Although your tires will lose about two PSI if you travel from 5,000 to 10,000 feet in altitude, they’ll regain this PSI upon descent. If your autumn adventure extends over several days, it’s a good idea to have your tire pressure checked and set the morning after arriving at altitude and when you get back home. Check road conditions. Fall weather is unpredictable and roads can become impassable with little notice. Know before you go. Considered one of 10 state parks not to miss by SmarterTravel.com, Eldorado Canyon State Park is easy to get to and fall leaves aren’t the only allure here. Hiking, mountain biking, horseback riding, climbing, picnicking, wildlife watching and fishing are all popular uses. It’s also a great destination for birders, with recorded sightings of golden eagles, prairie falcons, wild turkeys, blue grouse and about 75 other species. Get there early and bring the $8 entrance fee. When parking reaches capacity, you may have to wait until another vehicle leaves to enter. Return via Golden and stop for a walk along the Clear Creek Trail, a paved path framed by colorful trees along a bubbling waterway. Click for the route to Eldorado Canyon State Park and Golden. The 11-mile stretch of Guanella Pass Road between Georgetown and the Mount Bierstadt trailhead provides as-good-as-it-gets leaf peeping without leaving your car. Admire vivid reds, yellows and oranges and contrasting greens of aspens, willows and evergreens, along with plenty of vistas around every switchback. Don’t miss the view of Mount Bierstadt and Mount Evans from the parking lot at the top of the pass, which has an elevation of 11,600 feet. Other nice stops along the way are the Mount Bierstadt Trail, suitable for hikers and picnickers young and old, the quaint town of Bailey and Staunton State Park. Click for the route to Guanella Pass. The Collegiate Peaks Scenic and Historic Byway goes from Granite to Buena Vista to Salida to Poncha Springs. Some of the best scenery is in the stretch between Granite and Buena Vista, where the fall foliage has Buffalo Peaks as a stunning backdrop. You’ll parallel the Continental Divide at the foot of the Sawatch Range, with views of the highest concentration of 14ers in the country. You’ll also follow a good stretch of the Arkansas River with its famed white water. 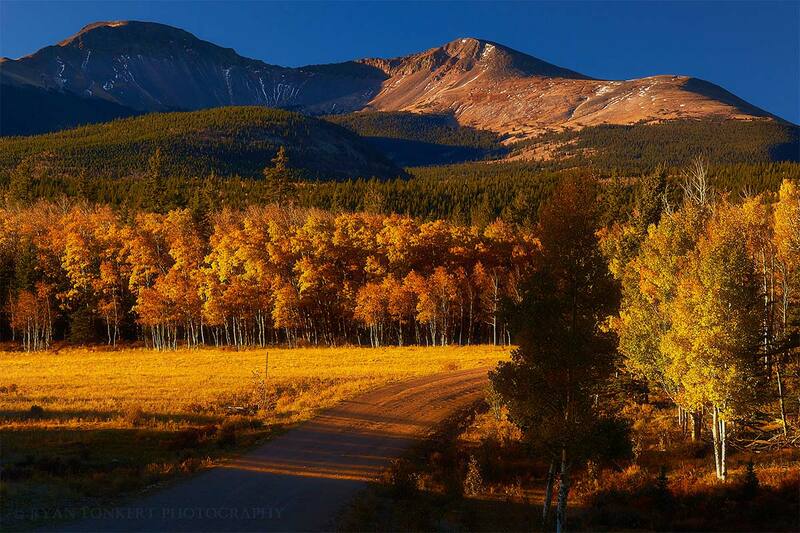 Click for this portion of the Collegiate Peaks Scenic Byway. A short drive from west Denver will get you to this state park with miles of hiking trails, rocky peaks, and aspen-filled meadows. Enjoy fishing ponds, picnic sites and the Panorama Point Scenic Overlook, where visitors can see 100 miles of the Continental Divide. Don’t miss the 3.6-mile Horseshoe Trail which meanders along a running stream past boulders, stands of aspen, meadows and mountain views. Click for the route to Golden Gate Canyon State Park. The Kenosha Pass Trail is hard to beat for autumn scenery. 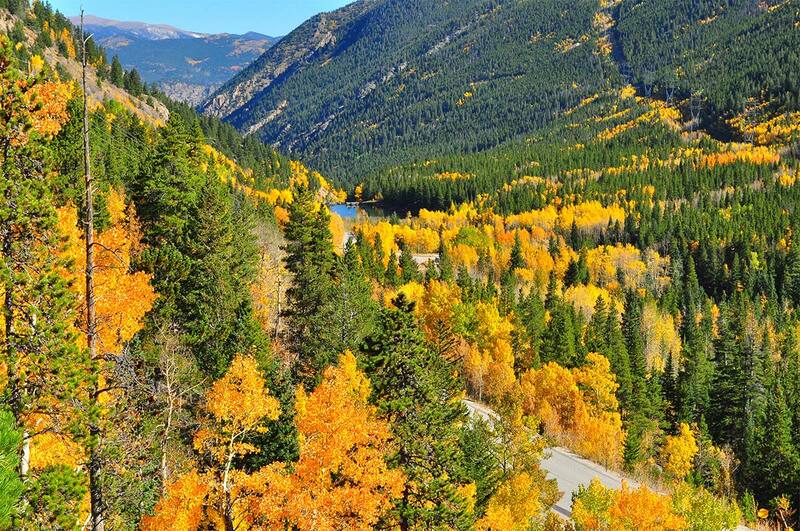 Walking just 3 miles on the east side of Highway 285 will lead you through dazzling stands of aspens to a 270-degree view of green and gold forests with 13ers and 14ers stacked up behind. Click for the route to Kenosha Pass. 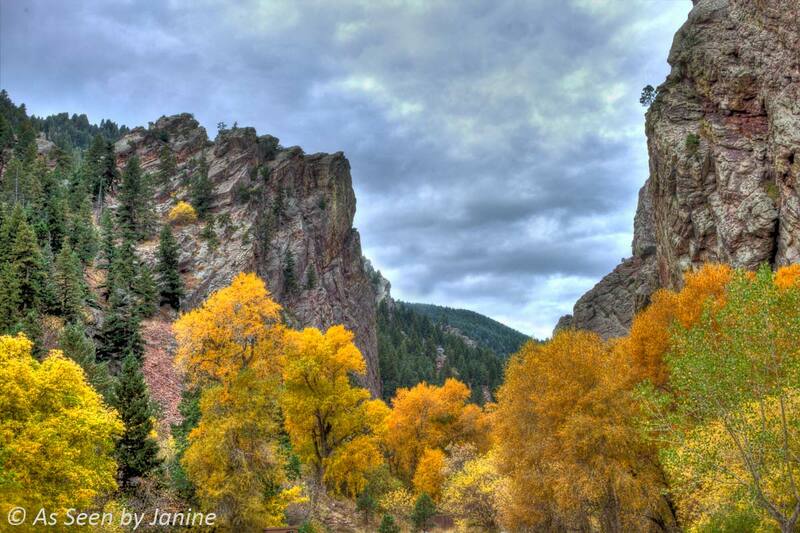 Colorado’s oldest scenic byway, the Peak to Peak offers some great tourism sites along with spectacular foliage. This drive takes you through Rocky Mountain National Park and offers up views of the Continental Divide. Look for mine tailings (scrap rock from Gold Rush mines that was dumped down the sides of mountains) along the road from Ward to Black Hawk. A short side trip just before you get to Black Hawk will take you to the lesser-known ghost town of Apex. 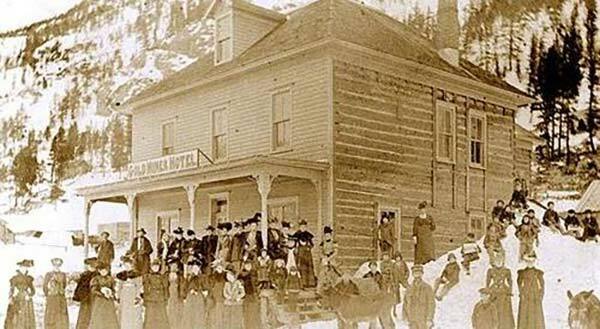 Also worth a detour: the 1890s-era Goldminer Hotel, listed on the National Register of Historic Places, located a few miles west of Nederland. Click for the route to the Peak to Peak Byway. Tire pressure checks are always free at Les Schwab Tires. Stop by before and after your high-altitude adventures. Garrett Hoover, a senior at West Linn High School, is a defenseman for the lacrosse team, but that’s not the extent of his ambition. In addition to training for and then playing lacrosse in the spring, Garrett has a full schedule of challenging AP and honors classes as well as a part-time job as an independent landscaper and facilities worker. Installing sprinkler systems, weeding garden beds, tearing down walls and cleaning floors have taught him a lot about hard work and self-discipline. Garrett has been playing lacrosse since 7th grade, including during his freshman year at Canby High when he played for the varsity team alongside his brother, his role model in life and sports. He remembers one tough spot in particular that his brother coached him through. That stick-to-it attitude served Garrett and the Lions well last year, when they earned West Linn its fourth state championship. It also helped them exceed their fundraising goal of $10,000 by 50 percent to pay for an annual trip to Florida that spring. There they challenged themselves by playing teams outside their conference. Their high ambitions paid off auspiciously for the Lions in their first conference game on April 13, in which they beat the Clackamas High School Cavaliers 15-3. Les Schwab Tire Centers is proud to support such champions through the Oregon School Activities Association. George Myers hadn’t stood upright since 1991, after his back broke in a logging accident. The injury left him paralyzed from the chest down and permanently confined to a wheelchair. Though it was a new way of life, he and his wife, Debbie, were determined to make the best of it together. For the couple’s 45th anniversary, they decided to renew their vows. George wanted a way to stand beside his wife. Debbie did some research and identified a unique wheelchair that would enable George to stand for the ceremony and more. George is a friend and important member of the community here in Southern Oregon. Les Schwab Tire Centers is honored to help the Myers have the ceremony they’d dreamed of, and to get George back to enjoying some life experiences he was missing. Here’s to many more years together, George and Debbie! At Dinuba High School, some students get a jump start on their career path on their first day. The high school has established three academies through the Linked Learning Program: one devoted to a medical pathway, engineering and construction management, which are designed to prepare students for college, career and life. Through the four-year programs, students gain real-world experience that allows them to explore, and prepare for potential career paths. In addition to the curriculum, the academies include mentorships, internships, job shadowing and volunteer work, all of which help students become top college candidates. Dinuba High’s academies are funded through community support and Les Schwab Tire Centers is honored to be a part of that effort. In our second year of partnership with Dinuba High School, the Dinuba Les Schwab store has helped raise more than $120,000 to go toward the academies. We look forward to continuing our support of this innovative school and the greater Dinuba-area community going forward. To learn more about the Dinuba High School Link Learning Academies, check out the school’s official website. Location, location, location is the formula for success in real estate, and in Denver, it’s paying off for North High School students. The hard-working group has been raising money for their school by parking cars for Denver Broncos fans in the Federal Boulevard Les Schwab parking lot since 2012. North High School is within walking distance of Mile High Stadium, where the Broncos play. Even better, the Les Schwab Tire Center on Federal Boulevard is just a block away from the stadium. Store Manager Ed Ferrell saw proximity and he saw an opportunity. When he opened the store in 2012, he offered the parking lot to the students to sell parking spaces to fans attending Broncos games. The proceeds go toward North High School activities: drama, band, choir and more than 20 boys and girls sports teams. Altogether, the students’ parking lot fundraisers have earned approximately $35,000 per year for four years. The students staff the parking lot in two shifts: one parks the cars and a second monitors the lot during the game. The lot sees plenty of use during the preseason and regular season home games every year, and sometimes more often than that. In 2015, the students reaped the benefits of two extra games of fundraising as the Broncos hosted playoff games. The Broncos won the Super Bowl championship, defeating the Carolina Panthers 24-10. North High students have funded an array of activities. The yearbook committee was able to subsidize the cost of the yearbooks so they were affordable to all students. After the baseball team won the city title for the first time in 16 years, team members used their funds to play in a summer league and maintain training. The drama group was able to purchase the rights to the popular musical, “Grease,” which then sold out — an unprecedented event — and they earned back the money they’d invested. The store’s generosity led to an unexpected new role for Ferrell, who was named Grand Marshal of the North High homecoming parade. The school is hoping to fund a scoreboard with future earnings, and when it’s up, we’ll be in the stands cheering on the team. For Mark Eberhardt, competing in the Special Olympics isn’t just a fun way to fill downtime, it’s a way of life. He spends the winter months fine-tuning his jumpshot, the spring and summer perfecting his golf swing, and the fall, chasing turkeys around the bowling alley. It’s been Mark’s annual routine for years: practice, compete, rinse and repeat. Ascending to the podium was a definite highlight in Mark’s competitive experience, but that experience goes far beyond just medals and trophies. Mark’s Special Olympics journey, which began with a medal-winning performance in track and field in his first summer games, hasn’t been one he’s made alone. “Mark has a lifelong friend who started track and field with him many years ago, they both still participate,” said Leona. This year’s Rip City 3-on-3 Tournament is expecting roughly 2,000 players on almost 500 different teams, with competitive divisions spanning youth (boys and girls), high school (boys and girls), adult (men, women and co-ed teams), elite (men and women), the Special Olympics division and the Unified Sports division. It will be held in Portland’s Rose Quarter on July 30 and 31. Anyone interested in volunteering or registering an athlete should visit the official tournament website. You can also “like” the Facebook event page, or follow @RipCity3on3 on Twitter and Instagram for more information. Les Schwab Tire Centers is proud to sponsor the Rip City 3-on-3 Tournament and athletes like Mark again this year. Popcorn is a long-standing and popular tradition in our waiting rooms at Les Schwab Tire Centers, but more and more it’s becoming a recognizable element of our community involvement, too. In Monroe, Wash., popcorn is the weekly treat at the Friday afternoon Popcorn Social at Chain Lake Elementary School thanks to the nearby Les Schwab store. The P.T.A. had previously been forced to charge students for the snack. Even at less than a dollar a bag, the cost was out of reach for some kids, so for the last three years the crew has sponsored the event with 15 cases of popcorn, making it free for everybody. The Monroe store also supplies popcorn for the town’s National Night Out Against Crime, when citizens get together for an evening of community building with the Monroe Rotary Club and police and fire departments. The Kaysville, Utah, store is similarly involved in providing popcorn for worthwhile community events. The Les Schwab there supports the Davis County Sheriff’s office when the officers host programs for local kids. Every month, officers invite underprivileged young people to their Drug Abuse Resistance Education program, better known by its acronym, D.A.R.E. And at Halloween, they host an event called “Trunk or Treat” where classic cars line the parking lot and children wear their costumes to trick-or-treat in a safe environment. Popcorn supplied by Les Schwab powers the kids through both events. Les Schwab donations of popcorn and related supplies allow high school students a chance to practice valuable job skills and raise money for their activities. The Riverdale, Utah, store, for example, donates the popcorn maker, bags and popcorn to nearby Bonneville High School for the football and basketball seasons. Students who run the concession booth sell bottles of water and bags of popcorn for $1 each and get to keep the proceeds to spend on activities. For the past two years in southwest Washington, 10 stores have partnered to sponsor 22 local high schools with popcorn, oil and seasonings for lunchtime and game day booths. (The concessions are so popular that the schools have bought their own machines.) Feedback from the athletic directors is overwhelmingly positive. This kind of sponsorship gives the students a chance to practice the kind of life skills we know will stand them in good stead: hard work, responsibility and community involvement. At a city council meeting last March, Mayor Leonard Kelley of Stanwood, Wash., recognized the local Les Schwab for outstanding community service. He noted the company sponsors numerous community events, but he singled out as his favorite a story about the team donating its popcorn machine for the town’s summer Movies in the Park series. “Moms with kids who weren’t customers  were coming in [to Les Schwab] to thank them for the popcorn,” Kelley said. So popcorn is more than our signature snack: It’s one of the many ways we do more than take care of tires, brakes and alignment. We are members of the community who see a need and step up to meet it. Being a high school athlete isn’t always easy. Juggling practice and games, schoolwork, family, friends and everything else takes focus; Jesuit High School senior defensive end David Bridges was more than up for the challenge this year. Including David, Jesuit High School in Beaverton, Oregon had 37 seniors on the football team roster, each of whom was determined not to repeat last year’s 42-41 loss to Tigard High School in the Oregon School Activities Association Class 6A football championship quarterfinals. Training hard in the summer and during the season, on the field and in the weight room, helped the Jesuit Crusaders win the sixth state football championship in the school’s history. That ability to focus served David and the rest of his team well all season: They entered the championship game against third seed West Linn with an undefeated 14-0 record. Nevertheless, late in the fourth quarter they were trailing 14-13. But a 2-yard touchdown with 1:13 left put them over the top, 21-14. Victory is always sweet, but doubly so when it’s hard earned. David and the Crusaders did their school proud. Felix Songolo, sophomore captain of the varsity boys’ soccer team at De La Salle North Catholic High School (shown here sporting his Knights jersey), has been playing soccer since he was five. The game runs in his family: His father, mother, older brother, younger twin brothers, and even his youngest brother, now five years old himself, all play. Felix says his first memory from childhood is of watching his older brother play soccer when their family still lived in Africa. Felix and his family moved to the U.S. in 2005, fleeing conflict in their home country of Zambia. Throughout his time in a refugee camp and afterward in adjusting to life in America, Felix found a sense of community in playing soccer. Now, after overcoming difficult times, he refuses to let anything stand in his way. Even with a busy practice schedule, he plans to maintain his 4.0 GPA, graduate as the class valedictorian and go on to play college soccer. Felix credits soccer with helping him deal with challenges because it’s a team sport. We admire Felix for his hard work and teamwork, two values we can get behind. Not many American high schools boast a rugby team. According to USA Rugby, about 30,000 U.S. high schoolers play the sport. But its lack of popularity didn’t stop the Great Oak High School seniors of Temecula, Calif., from starting their own team. Rugby’s lessons in sportsmanship are at its core. While highly competitive and physical, the game also requires players from opposing teams to look out for one another. As a symbol of this mutual dedication, rugby players have a ritual of sharing a meal together after a match. Sportsmanship has long been a cornerstone of rugby. Throughout 19th century England, in those schools and institutions where the game’s rules were slowly formalized, rugby was seen as a way of instilling values like unselfishness, courage, teamwork and self-control in the young men who played it. The game’s virtues were even exalted in movies, like “Invictus” (2009), starring Matt Damon. Knowing the values and sense of camaraderie that rugby imparts, our Temecula Les Schwab store jumped at the chance to sponsor the Great Oaks club for next season. The sponsorship includes providing 30 practice and game balls, which this year’s team will pass on to those who want to play next year. Teamwork and integrity are part of Les Schwab’s core values, and we look forward to watching this team continue to grow! For the past eight years, children of all ages in Southwest Washington have had a good reason to look forward to the third weekend in May, because that’s when — rain or shine — they get to go to Dozer Day. Dozer Day is an annual, weekend-long fundraising event where the rides are heavy construction equipment. Kids get the real-world construction experience by hopping in the cab — with a professional operator at their sides — and drive bulldozers, excavators and other machines. About 20,000 guests attend Dozer Day every year. Les Schwab Tire Centers has been a proud sponsor of the event for several years. 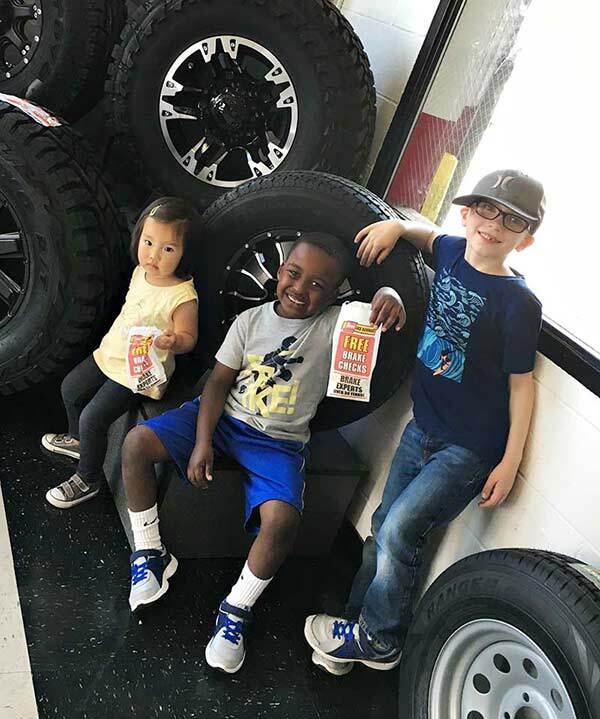 The organization behind Dozer Day, the Nutter Family Foundation, shares Les Schwab’s values: giving children opportunities to grow and develop their talents, and the importance of community. Les Schwab’s signature contribution is the Tire Crawl, a large sandbox filled sand in which several giant tires  the kind Les Schwab sells for tractors, earth movers and log loaders — are stacked up 5-feet high to give kids a place to climb while they wait their turn to drive one of the big trucks. Les Schwab also hosted the pre-event Friday for disadvantaged or disabled children. This year, several hundred kids came from the Evergreen School District to explore the Tire Crawl and had their yellow construction helmets decorated with a Les Schwab sticker. Like Les Schwab, the community does its part to make the weekend special for the kids. Members of the Southwest Washington Contractors Association volunteer as operators. Teens, ages 14 to 18, recruited from the key clubs and honor societies in local high schools, make up the other half of volunteers. They do everything from escorting the younger kids to and from the equipment to checking in with guests to make sure they’re having a good time. The Nutter Family Foundation teams up with individuals and local businesses that also share a passion for fostering kids’ growth. For example, members of Portland YouthBuilders volunteer at the event. The nonprofit organization helps provide education, vocational training and leadership development service to low-income youth, is also a recipient of the foundation’s grants. Renee’s goal when she started Dozer Day was to raise $1 million in 10 years, and according to Nutter, it looks like she’ll exceed that goal a year early, but the kids will always be her primary focus. Lucky for us, Dozer Day will be back next May, with another opportunity to put children in the driver’s seat of heavy construction equipment, get to pitch in to help their neighbors and to have fun.